Here at Clear Solutions Acne & Skin Care Clinic with Kellie Campbell, Certified Acne Specialist, we take great pride in providing the best acne treatments in the Capital District. Clear Solutions offers an effective, reliable and affordable acne program specifically designed to treat all types of acne, mild to severe, non-inflamed/inflamed, without the use of prescription drugs, with a 95% success rate of getting the skin clear. Kellie has been trained and certified by Laura Cooksey of Face Reality Acne Clinic Located in San Leandro California. Ms. Cooksey studied under the late Dr. James Fulton, one of the top acne research experts in the world and has created this acne protocol and a line of skincare products that will have your skin clear in as little as 90 days. Kellie is with you every step of the way, coaching you and supporting you in any way she can. It’s expected that you use our products exclusively (home care provides 80% of your results), come to your scheduled appointments every 2 weeks and follow all guidelines set forth. 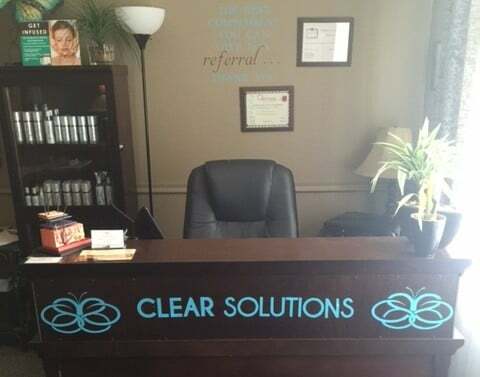 A highly sought after Licensed Esthetician and Certified Acne Specialist, Kellie Campbell is the owner of Clear Solutions Acne & Skin Care Clinic in Latham, New York, specializing in acne therapy and corrective facial skin care. Drawing on her more than 32 years of experience, Kellie has helped countless women, men and teens achieve total skin transformation by pairing best–in-class products with proven innovative therapies. Her extensive knowledge and continuing education are what allow her to produce immediate, visible results. 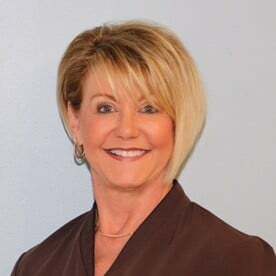 Considered a go-to authority on acne therapies and corrective facial skin care in Albany County, Kellie is also an examiner for the New York State Board of Esthetics and previously taught esthetics at the Christine Valmy School for Esthetics. “Anyone suffering from Acne knows how devastating it can be. Over the years I have found that treating acne or any skin condition goes beyond treating just the surface of the skin. This is why I treat the individual as a whole from the inside out finding the root cause of the problem.